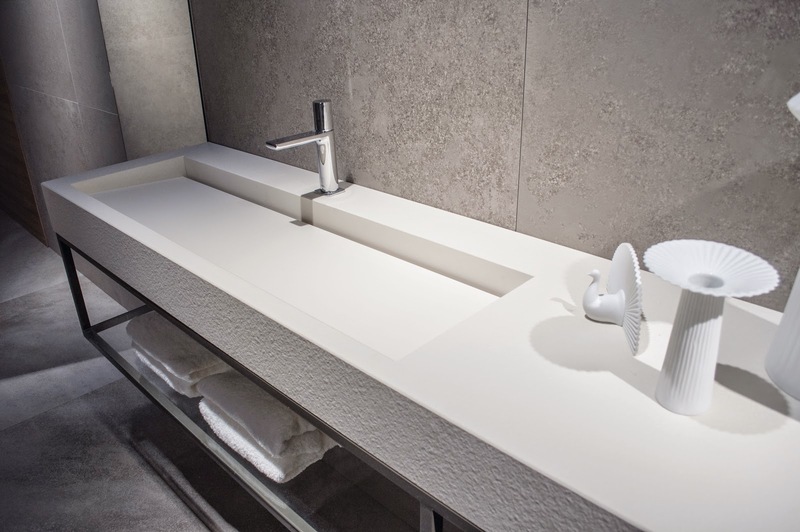 Thin is in.....the design potential for thin slab porcelain is endless. At Cevisama in Valencia with Tile Of Spain, I was wowed by the large format thin porcelain slabs over at Inalco and Neolith. Both manufacturers showcased how porcelain slabs meet the needs of today's homes with an array of colors, and clear cut design. 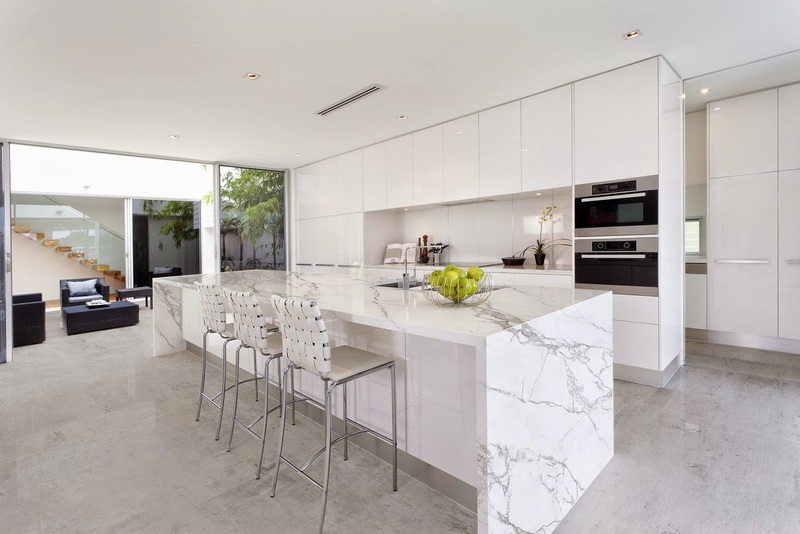 It was obvious that porcelain will be trendsetting seamless countertops in the next decade. Sorry for stone, U.S. consumers will find porcelain as an attractive solution that will make life much easier. Don't get me wrong, I love stone and its natural characteristics!! However, I'm really falling for slab porcelain. Here are some more bonuses of porcelain versus stone. 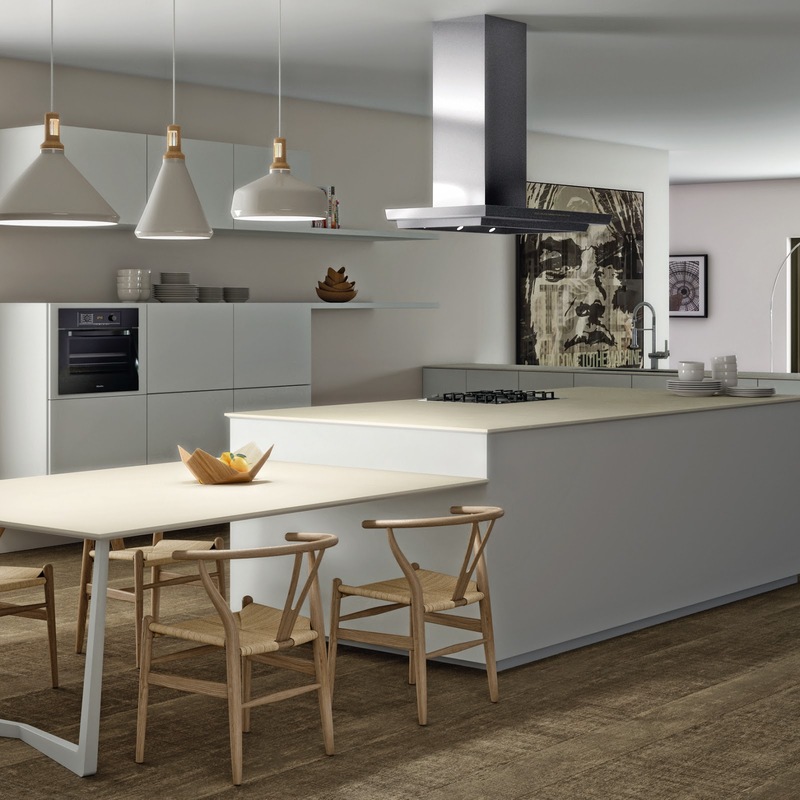 -Porcelain is highly scratch resistant- you can cut food right on the slabs. Unlike porcelain, you're marble would be ruined. -Porcelain is resistant to wear and tear. Stone however can scratch and chip if you hit it hard. -Porcelain is easy to clean and care for. Totally stain resistant. You can cut a lemon on it or leave wine on it and it wont stain. In minutes, your wine ring would stain your stone slab. -Porcelain is heat resistant; you can put a boiling pot right on the surface. With stone, forget about it! 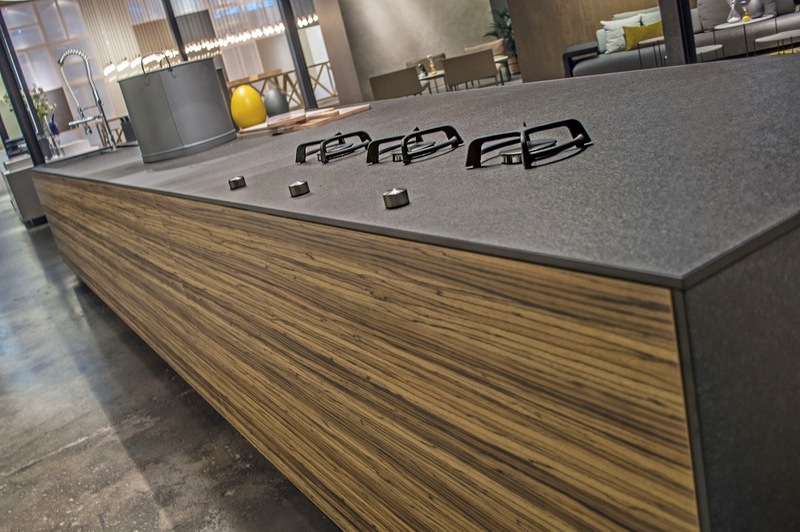 Besides its amazing durability, Neolith has found that fine line between old world craftsmanship and technology. Their products are timeless and well crafted. TheSize Compact surface is lightweight and easy to install, making it suitable for every indoor and outdoor surface. It comes in different thickness and sizes like 12' x 4'. With porcelain you can create tops with practically no seams. For designers, these large format slabs allow the imagination to run. (classtone) to metal inspiration ( Iron). 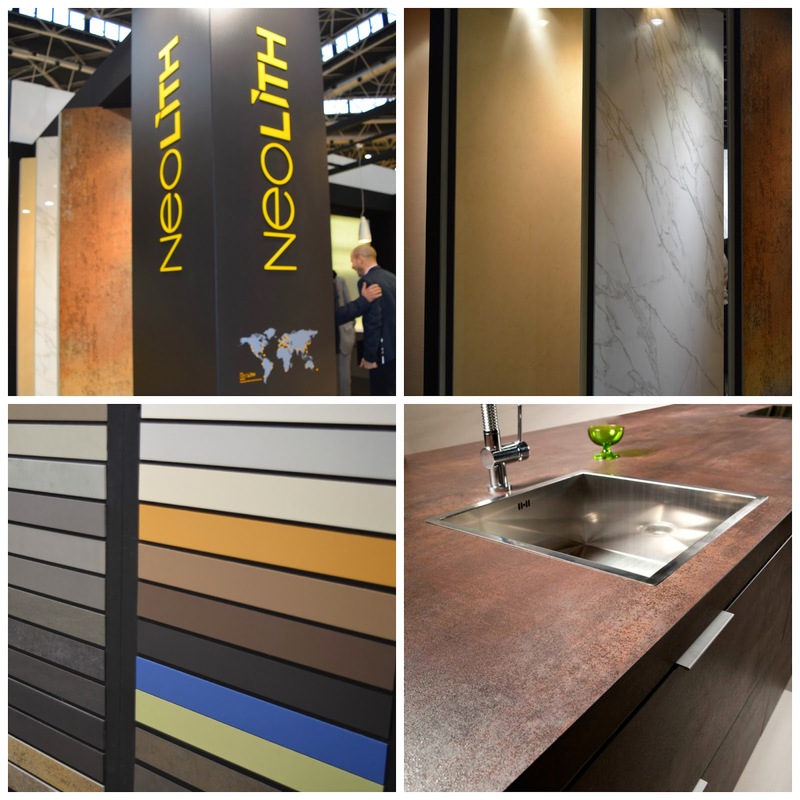 Both Inalco and Neolith are available in the U.S. through a network of distribution.. Visit their websites: Neolith and Inalco.